News: Hanabee licenses Bakemonogarati, Gyo, Hakuoki and more Bodacious Space Pirates are coming to make you walk the plank. Australia rejoice! Hanabee has announced their March line up of anime titles. 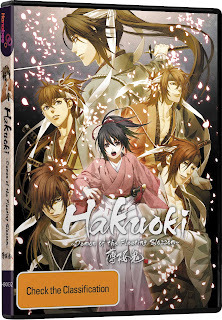 The titles we'll be getting are: Hakuoki Season 1 (a series based on a Playstation Portable game from last year), Bakemonogatari (with volume 2 hitting in April), Volume 2 of Bodacious Space Pirates, and lastly a animated horror film called GYO Tokyo Fish Attack! I'm looking forward to these releases and after the jump are some pictures of the covers and a description of the shows. 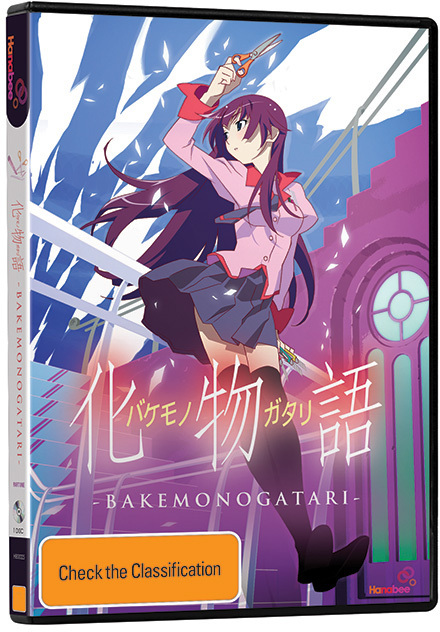 Also you can see reviews of these releases sometime in the future but make sure to check out the other reviews of Hanabee products like Toradora!, Dream Eater Merry, Arakawa Under the Bridge, and Red Vs. Blue. [Click “Read More” for the rest of the article]. “Her father holds the key to Japan's bloodshed. She must find him. Chizuru Yukimura is on a mission to hind her father, after having heard no word from him for over a month. 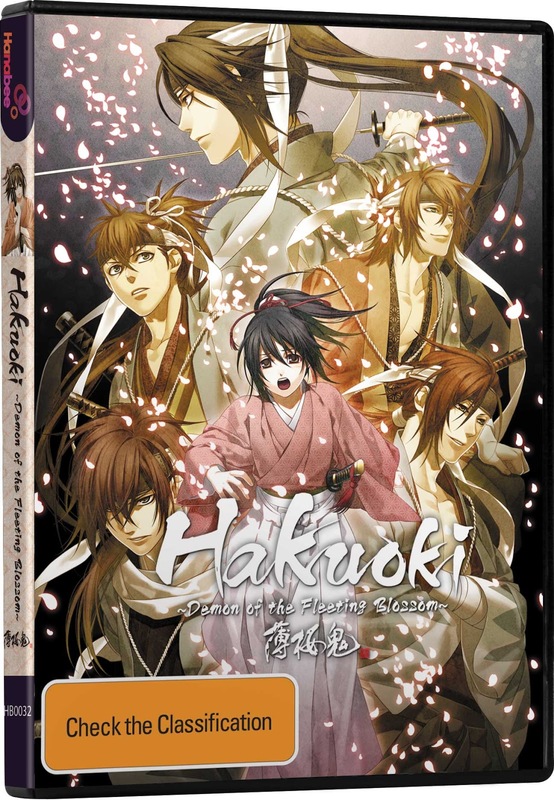 After unwittingly becoming both a victim and a witness to a crime when she travels to Kyoto, Chizuru falls into the hands of the Shinsengumi, the Emperor's special police force. Just like her, they are after her father as well but their intentions are far more serious. “It happened with a slip. 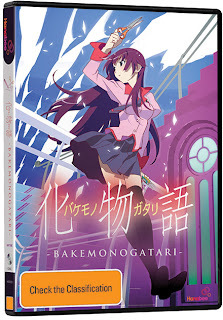 Koyomi Araragi thought he was done with the supernatural after his recent brush with vampires but that belief is short lived when Senjyogahara, the aloof girl in school, is as light as a feather. The cause? A crab Gob with a penchant for the vulnerable. But that's just the tip of the ice burg as she's not the only individual suffering from the effects with their brush with the paranormal. “What is a pirate captain without a crew? 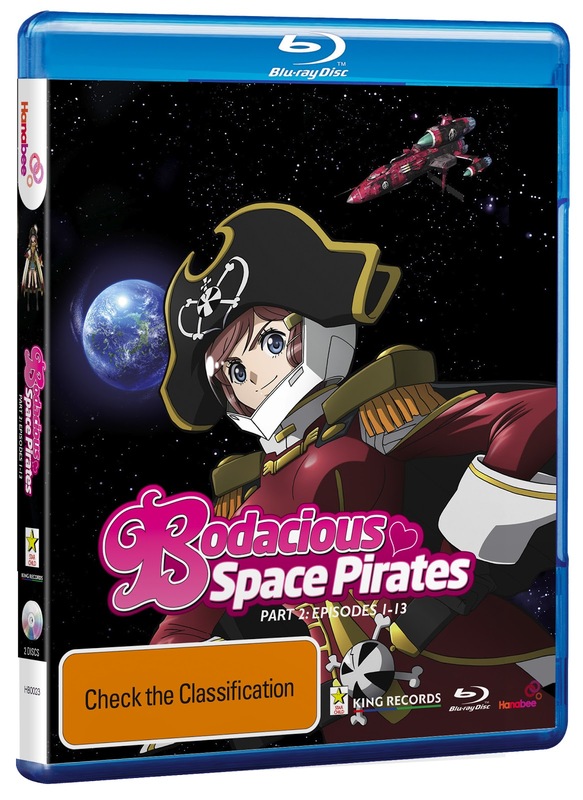 Just as Marika's settling into the pirate life, her crew has fallen sick! And so with her crew out of commission, Marika must turn to the only people she trusts to get the job done. Her solution, the members of the Space Yacht club of course! But Marika's new lifestyle and her father's legacy maybe in danger with the growing threat of pirate hunters lead by Quartz Christie, the Grand Cross' Captain. 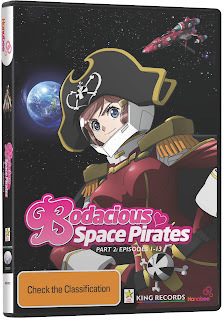 Eliminating any pirates in their wake, the Grand Cross, is a force to be reckoned with and the crew of the Bentenmaru is not the only pirate ship feeling the heat. However, a duel to decide their fate with Marika at the helm – is it a recipe for disaster or the ultimate plan? “The day the fish fight back! A horrible rotting stench has accompanied Kaori's trip with her friends for graduation. The source? A fish on mechanical legs. But that fish is part of a larger issue, as soon enough a nation wide invasion of these creatures is upon them and they're carrying something far worse than foul odor. 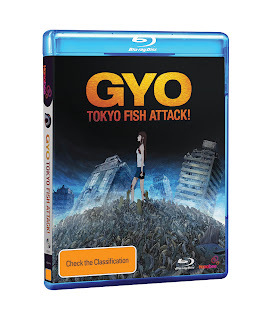 With Tokyo under siege by these creatures, Kaori cuts her graduation trip short in order to rescue Tadashi, her boyfriend, before he too becomes a victim. But it becomes a daunting task when the city is barely recognizable and there are fish around every corner threatening her own safety. It would be really interesting and awesome to watch some new characters in the series. It will be some good thrill and addition of mystery to the untold story of the series.